So many veneers! End of year wrap up at Sugar Fix! This was a busy last week before Dr. Emery’s trip across the pond! She is headed to London for the holidays! One patient of ours has been in orthodontics for the past 2 and a half years preparing for her smile makeover. 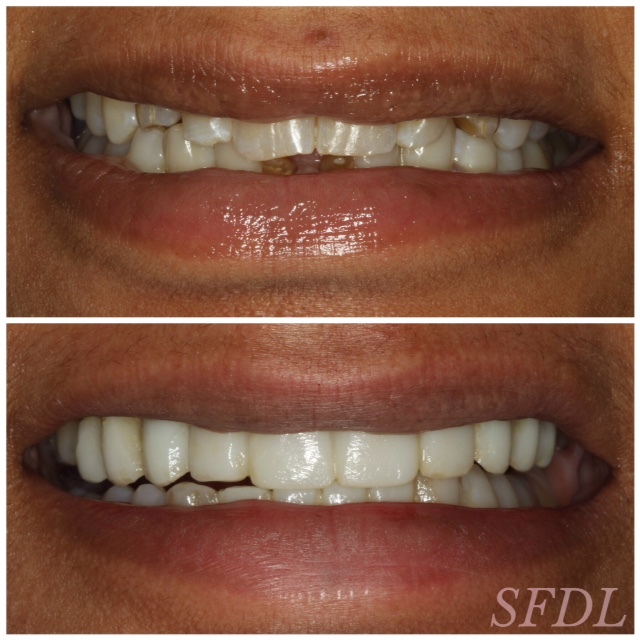 Now that she is in alignment, we temporized her with a mix of 10 veneers, crowns, and implant crowns on her top teeth. We created 4 crowns on her lower teeth. She will be in the temporaries for several months while her implants heal; at which time we will then restore everything with beautiful porcelain! Photos of her temporaries are above. We had two emergency patients this week that cracked their old crowns. Thanks to our Cerec, we were able to make them new ones on the same day. We (including the patients) were all so happy that they will not go the holidays wearing temporaries! We had a patient who sought out Dr. Emery after a long time without seeing a dentist. She wanted all of her work done on the same day and was here for hours while the Cerec milled out all of her restorations. She caught up on some TV series on Netflix and relaxed. During the milling stage, we brought her a Starbucks strawberry banana protein smoothie for a snack. 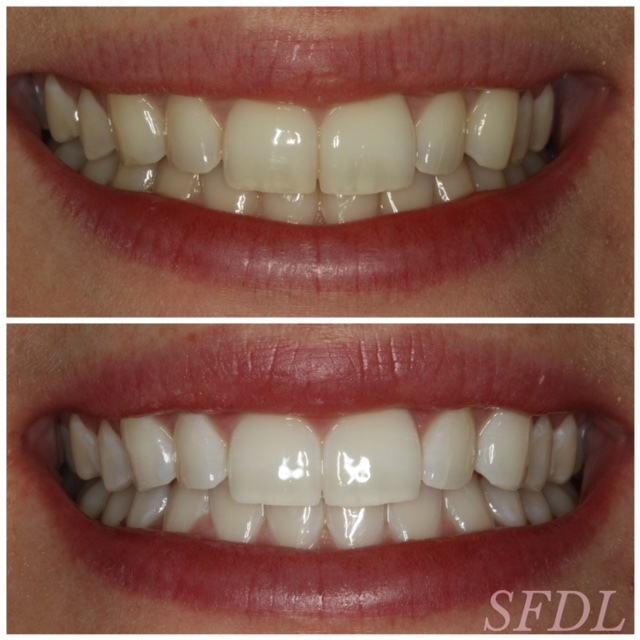 Our zoom whitening patient from this week! This week we did 3 ZOOM whitenings with great results for all! There were several cosmetic consults that were very happy to meet Dr. Emery to discuss their smiles and to know what options are available to enhance their smiles! Today is our official last day of the year! As a team, we will be celebrating at Angelina’s Ristorante on Broadway tonight! Happy holidays to all of our readers! We will be off for the next two weeks, but we’ll be back to blogging in the new year! Here’s to a happy & healthy 2016!